Today we have three new iPhone apps for you. 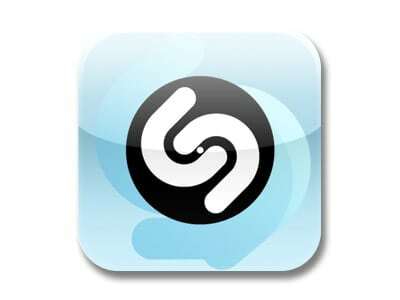 Actually that should be two and a half new apps because Shazam was already there. But the other two are really great apps, especially because one of them lets you share your photos instantly just like MMS but without depending on your lame carrier to finally allow it to happen on your iPhone. Besides, it is far better than MMS. Get over to the other side to read more. There’s a new app on the app store and it is called Balloon! It is sort of a ‘message in a bottle’ meets social networking kinda app that lets you set off random bits of text with an image into cyberspace. These bits are called balloons and they directed at no one in particular and you have no control over when, where or whom they reach. So where is the fun part? You can catch balloons that others have set off, add some text to them and let them go again. This way, balloons go on drifting, collecting text and slowly building up interesting stories of their own. Things like these get better with time and participation, so in a bit you might start catching very interesting balloons of your own. But the most fun part and also the crux of the app is the tracking ability through which you can track your balloon and see whom it has reached and what has been written on it. And the developers have very intelligently made this a paid-only feature. So when you download the free version, you can do everything except tracking. The paid version is for $2.99. The popular song identification app has finally released their ‘premium’ version as promised earlier. And as everyone was anticipating, this new app is a paid for app. They do add some new features to make this upgrade worthwhile for you. You can now have songs recommended to you based on the songs that you have tagged for indentification, see what is popular and search for music through the app. Another major part of the upgrade is a performance speed boost. There is also a car mode in this premium app and it apparently allows you to operate the app even when you are driving a car. If there’s one thing we don’t need in this world – it is another thing to distract drivers. You can finally stop whining and cursing about AT&T’s broken promises and lame delays in rolling out MMS because now you can do more than what MMS allows you to do through a new app called Knocking. With this app you can share up to 100 photos almost instantly with another Knocking user. MMS does not allow you to share entire albums at once but Knocking lets you do that. And the app works over both 3G and WiFi, all the more reason to love it. Other than those obvious advantages, there is another greater advantage that MMS will never be able to give you. The new features include — Improved Video Quality, Better Performance, Enhanced User Interface, Privacy Settings,Invite your friends to download, Improved Search to easily find friends, Easy Sign Up and Device Recognition. You can visit http://www.knockinglive.com for more information.